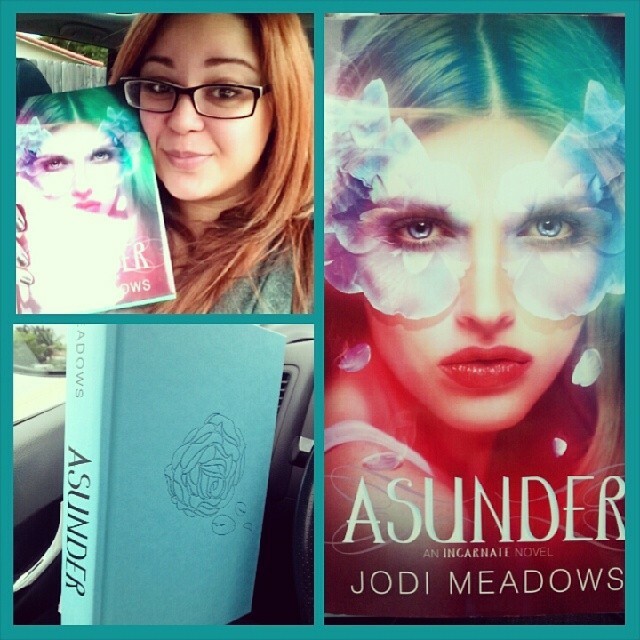 Asunder by Jodi Meadows Book Talk! 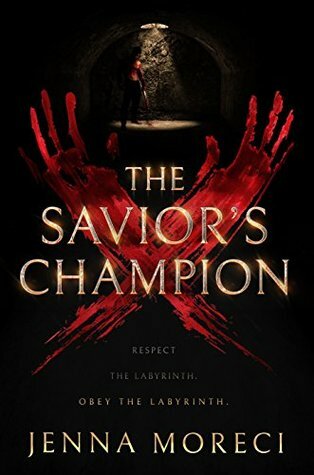 After I finished Incarnate-book one–I literally hunted this one down. I needed to know what happened. I needed more Sam and Ana. Jodi Meadows did it again. She created this unique fantasy world with so many intricate elements. In book two, Asunder, so much comes to light. Many things within book one that were presented, are developed further in book two. There is so much to explore. Sam and Ana’s relationship has slowed down due to everything they and the town have gone through plus everything they begin going through in this book. There are many swoony moments still but Sam is hearing the sneering comments from the people of Heart who grow to hate Ana more and more. They begin tainting what they have, speaking of how inappropriate it is for Sam to be taking advantage of such a young girl. She’s only eighteen and he’s well, five thousand years old. It begins to mess with his head. He loves her and wants to honor her. It creates issues and a strain within their relationship that is surrounded with so much trauma and additional tragedy mounding up. Many answers finally come to the light, and with Ana, we begin to understand so much about her existence. The ending leaves you crying (I literally cried) and with your mouth gaping open. Book Three–Infinite–I’m looking at you and eagerly waiting. THREE MORE DAYS! If you like fantasy, heart and romance, check this series out! It’s completion comes to a book store near you, January 28th, 2014. How about a Series Binge Read? That concludes the non-spoiler section! “Were they after you?” I asked. A little while later, Sam comes out of the cottage. He had gone to get some sylph eggs to save them from an attack. Ana mentions they left but they got Cris in trade. “Cris.” Sam’s voice slipped, and there was something while the boys looked at each other–something I couldn’t understand. Awk-ward! Omygoodness. First, can we talk about something a little weird to grasp in this series. These million souls have been reincarnated a bunch of times. Each life is different. Sometimes they’re woman, sometimes they’re men in another life. Now, imagine coming back with all your memories and experiences, remembering the people you have fallen in love with? So the weird part is you fell in love when you were a woman and they were a man. Imagine coming back and now you’re both men in this life. Then imagine, you being a man and seeing the man you fell in love with in another life, in love with another woman? Yeah, I think you understand now the AWKWARDNESS that occurs during this entire book between Cris, Sam and poor Ana who is for the most part till almost the end, completely OBLIVIOUS to this. She senses the weirdness but doesn’t understand what it’s about. Here’s the crazy thing, you just cant seem to hate Cris for it. He…um, once she…um, well, in this book he is a he, and he is just so lovable and awesome, gosh darn it. You want to though. There is clearly some past tensions between Sam and Cris. Tab #- (pg. 62) Sam loves Ana. Sam and Ana are east of Range, where Menehem, Ana’s father disappeared all her life to do his research and experiments. Ana and Sam decide it’s time to go back to Heart and suddenly Sam scoots over to Ana saying he has something to tell her. He kisses her before saying what that is. His kiss is a little desperate. He pauses, breathing heavy and Ana is panicking wondering if what he is going to say is bad and that’s why he kissed her like that. Tab #3 – (pg 185-196) Meuric Alive? Ana and Sam were supposed to enter the Temple again to find answers. Sam got caught outside by Stef and started an argument. Ana was hiding in the shadows. No one goes into the Temple. There’s no door. Only, a device that Ana took from Meuric when he tried to trap her in the Temple in Incarnate (Book one), opens doors and causes reactions in the temple and from Janan–their deity? The one who reincarnates them. Stef won’t let Sam alone so Ana goes in by herself. This place is horrendous inside. Every time Ana has gone in, I just want to run right back out. Janan reveals himself (vocally) more in the previous chapter and he is disturbing. He wants to eat Ana! He began messing with her mind in there. Time is different in there. It may only seem hours in the Temple but outside, you’ve been missing for days. As if things weren’t already crazy in here, Ana hears a familiar voice, which in her mind, must be impossible because he’s dead. She killed him. Meuric. He didn’t die when she stabbed his eye and kicked him into the upside down gravity reversed pit hole where he fell deep. The fall alone should have shattered every bone in his body and it had been months! Blood and fluids seeped around his filthy clothes. He hadn’t moved all those months from that spot. This entire part is crazy. She finds a means to get information from him. Tab #4 – (pg 195-196) and then…the Truth! Ok, I’m not gonna reveal it. I’m trying to withhold laughter here because I’m in the middle of a Starbucks. I’m not laughing maniacally, it’s that I built that whole thing up only to not say it in the end. Sorry. Don’t hate me. It’s to enrich your reading experience. What I will share is that, it finally gives us clarity about Ana as a NewSoul/NoSoul. We understand everything suddenly about why and how she is what she is. Tab #5 – (pg 207) Sam said What?! Yeah, so remember that whole Cris and Sam situation I told you about earlier. Oh. My. Lanta. When I read this part, I gasped and screamed and waited to see (read, actually) Ana’s reaction and she didn’t. She didn’t react and have a light bulb as I thought she would, or if she did, she is much less impulsive and emotional than I am. I would’ve gone buckwild. Then again, she was loosing consciousness so, what do I expect. But AFTER. When I resurfaced. Oh, yeah…buckwild. 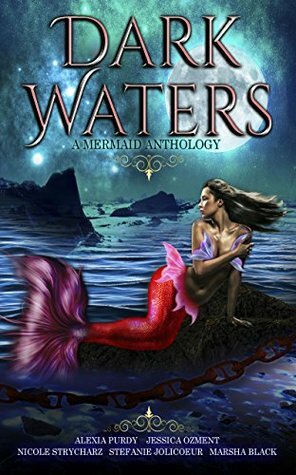 So in book one, remember (I mentioned the Tab in my Book One book talk- Incarnate by Jodi Meadows Book Talk–this moment) in the beginning when Sam rescued Ana from the frozen river she jumped into, to survive the sylph attack? Then she woke in a cozy tent, her boots and jacket off, drying, laying down with a strangers body pressed up against her back with his hand over her heart. Then she freaked when he spoke. Back to this point of Book Two. They just found Ana who finally escaped from the Temple. She was missing for a week. She got out weak. Finally passing out, Sam picked her up and carried her home. All she could hear are voices. Bundled in blankets on the sofa, everyone started trickling out to leave. Her blurry vision caught faintly people leaving out the door. At the door Sam and Cris spoke. Then Cris holds up his hands showing his scars from tending flowers and plants. What the? Holy crap! When Sam first met Ana and tended to her while she was first passed out, his flirty nature, his behavior, his confidence handling Ana...HE THOUGHT SHE WAS CRIS IN THIS LIFE! Omygoodness! I freaked about this. I wanted Ana to freak. It would hurt a little, understanding suddenly how deep their past was, their love. But then, the entire time (though they’ve both had their stupid moments) Sam turns around and gives you no doubts, whatsoever, that he is in love with Ana. And again, Cris…just won’t let you hate him. He is so good and awesome. So here’s one of the stupid moments I just mentioned above. Back on page 292, Sam said something STUPID. This was clearly one of those guy/girl miscommunications. Finally, we reached the house, and Sam’s mitten slipped on the doorknob as he spoke. “I wanted to ask you something. You’ve been talking about making your own decisions, wanting to do things for yourself” He tried the knob again, but snow and wool slid across each other. Before they could speak further on this, they see someone DESTROYED everything inside the house. It was so sad. Later, through all the grief, aftermath, unspoken moments, big elephant in the room, Ana tried to go and get Sam’s attention. He’s been mentally M.I.A. lately. She tells him she’s thought about it and will be leaving. They’ve been living together for a year now. They’re romance after the end of Book One SLOWED down significantly with everything that the city went through. My heart was breaking as Ana was trying to be strong here and leave. She thinks it’s what he wanted. She then walks out the room, breaking a little more with each step. Arms wrapped around me and my knees buckled. “No.” Sam’s cheek grazed mine, fresh-shaved stubble. A lot happens, reaching to this point of the book. There are just some Spoilers, I will not reveal. I don’t want to take away EVERYTHING in case you haven’t read it yet. I won’t reveal one of the major plot point Spoilers here but on this page, I literally LAUGHED. OUT. LOUD. I love Jodi Meadows writing and I love how she wrote Ana. I relate to Ana so much in this series. Her quirks and the things she says sometimes–which are hilarious–remind me of my own humor. Ana has some audacity, let me tell ya. And what does Ana say in response to his threat? Tab #8 – (pg 396) Oh, Cris. I am not going to say it for those who haven’t read it but for those who have and know what I’m talking about…Ohmyheart! Cris. Yeah…If I had the slightest doubt or lingering ill-will because of the whole Sam and Cris debacle…This. This right here, threw any of it left, out the window. Oh, my heart. Tab #8 – (pg 403) She says it…finally. Second to last page, Sam and Ana make a decision about what to do next (can we say, I need Infinite…NOW-book three). It was easy to say. I could love. And I did. So there it is folks! I loved this book. I loved the first one. I loved the moments Jodi Meadows wrote between Sam and Ana. They’re beautiful. I can not wait to see what she does with book three and how she wraps up this entire series. There is so much she left us speculating. Jodi Meadows created an elaborate world, full of possibilities here. Her creativity, synopsis and plot was brilliant and beautiful. I would love to see you and talk ? Yay! Glad to spread the book love 🙂 And the last book, Infinite came out yesterday! Series is complete so you can series binge on day 😉 haha -Thanks!